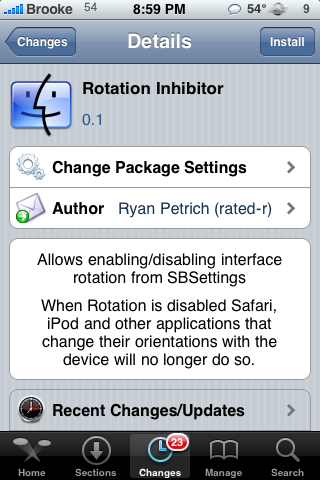 Yesterday, SBSettings was updated to version 3.0.9-11 and released in BigBoss’s main source. Below is a full change log for the update but, a few of the major changes include rotation, better iPad integration and a few new options. I was pretty stoked when I heard about the new rotation feature however, it was mostly created for iPad users. 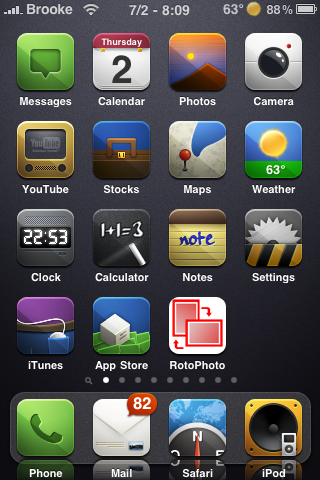 When your iPhone or iPod touch is in landscape mode and you swipe to launch SBSetting, it hangs off all weird. You are still able to use the toggles however, you are unable to get to the other options such as More, Refresh, Dock, Respring and Power. BigBoss has said that he does not plan to fix this issue due to the fact that it was basically created for iPad users. However, it can be disabled.